A little after the last post with a beautiful start to the morning. 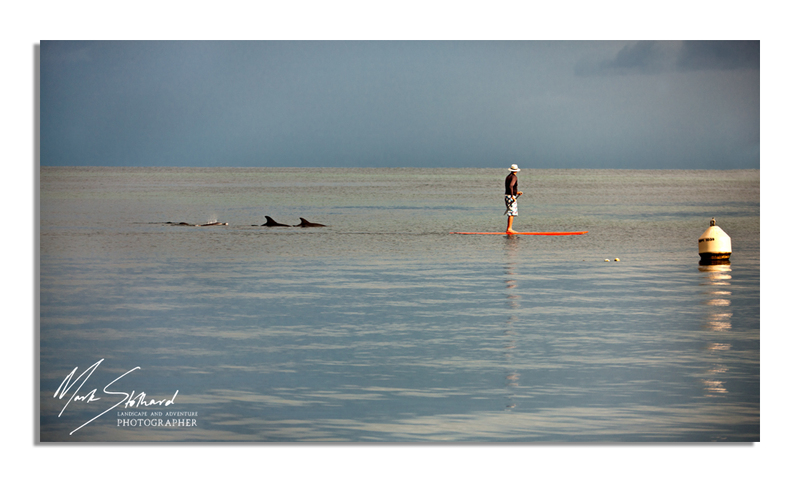 This guy thought he was teh pied piper I think as he had a pod of dolphins following him for quite a while. ~ by True North Mark on March 5, 2011. Now if only they were jumping over the surfboard….